Background: Glover always had to battle the perception that he was not big enough. In fact, the Oakland Raiders waived him in 1997 and the Saints claimed him the next day. That turned out to be a tremendous move by General Manager Bill Kuharich, Chet Franklin and Head Coach Mike Ditka. Kuharich gave credit to Franklin, the team's director of pro personnel, for spotting Glover. "Glover proved everybody wrong, especially our defensive coaches in New Orleans who initially thought he was too small to play in the middle of our 4-3," said Kuharich. "He turned out to be the greatest waiver claim in the history of the Saints." Glover played in all but one game in his five seasons in New Orleans. He had a big year in 1998 with 67 tackles, including 10 sacks, one interception and three forced fumbles. He followed that up with 8.5 sacks in 1999. Jim Haslett arrived in 2000 and Glover blossomed fully in the three-technique He terrorized opposing quarterbacks, leading the NFL with 17 sacks and was in on 67 tackles. He forced three fumbles and had a fumble recovery as the Saints won the NFC South and upset the defending Super Bowl champion St. Louis Rams 31-28 for the first playoff win in franchise history. The 17 sacks were the second most in NFL history by a defensive tackle and tied the franchise record set by Pat Swilling in 1991 for the most sacks in a single season. In 2001, he had eight more sacks, forced three fumbles and recovered a fumble to go with 47 total tackles. For an inexplicable reason, the Saints decided not to exercise the contract of Glover after the 2001 season, citing salary cap concerns. That allowed Glover to sign with Dallas, where he played great for five seasons and made three Pro Bowls. He finished his career in St. Louis with the Rams for three seasons. 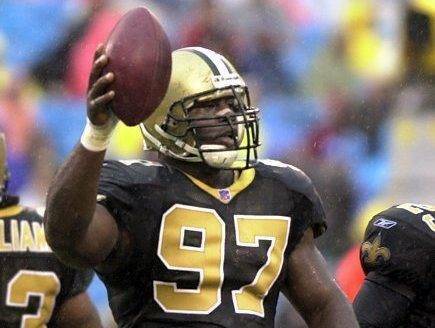 Despite playing just five seasons with the Saints, Glover ranks seventh in franchise history in sacks with 50. He led the teams in sacks in 1998, 1999 and 2000. Greatest Moment: It was a preview of things to come. On Nov. 26, 2000, the Saints faced the defending Super Bowl champion St. Louis Rams at the TWA Dome. The Saints controlled play most of the way, leading 24-10 in the third quarter but the Rams rallied to tie it 24-24 before Aaron Brooks scored on a one-yard run with 3:50 to play to give the Saints a 31-24 victory. The Saints would later beat the Rams 31-28 in the playoff for the first-ever playoff win in franchise history. In the win at St. Louis, Glover sacked Trent Green three times and was in on seven tackles. 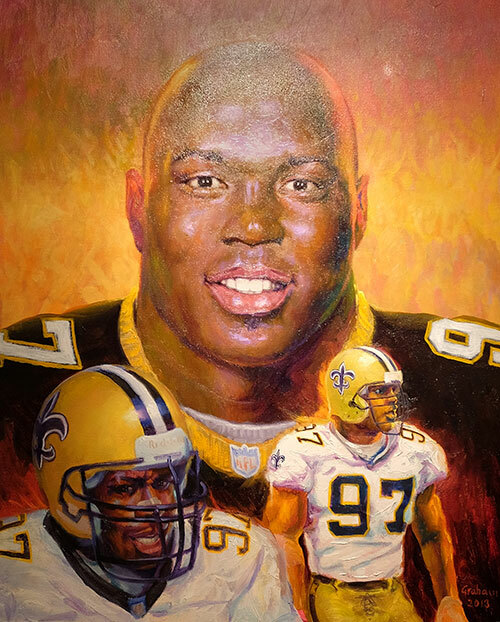 Honors: Glover was inducted into the Saints Hall of Fame in 2013. He was named first team All-Pro in 2000 and second-team All-Pro in 1998. He was named to the Pro Bowl in 2000 and 2001. He was named NFC Defensive Player of the Year in 2000. He was the Saints "Man of the Year" and received the "Unsung Hero" award with New Orleans. He was inducted into the San Diego State Hall of Fame in 2010.